SCA’s Bingo Bucks! is offered as a digital kiosk game played on a giant touch screen brimming with visual appeal. 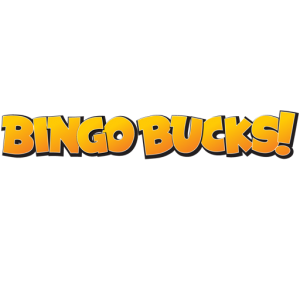 Plus, our Bingo Bucks! game board brings the excitement of a live game show to your casino floor. Bingo Bucks is available as a digital game, delivered on a giant swipe-to-play touch screen. 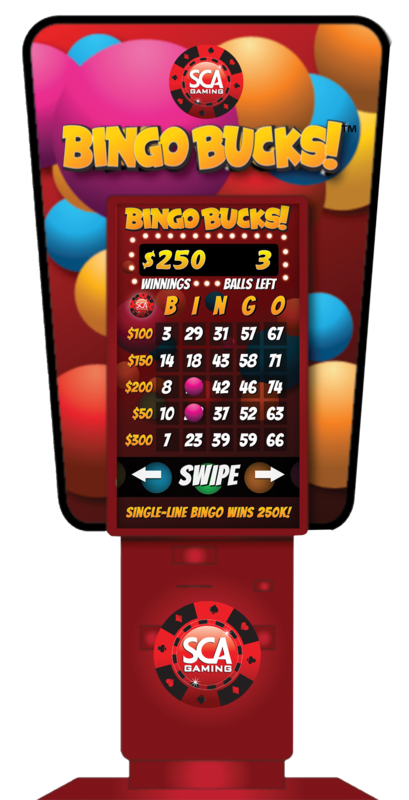 Each ball revealed is played on the corresponding number on the virtual game board, earning patrons cash as they play. 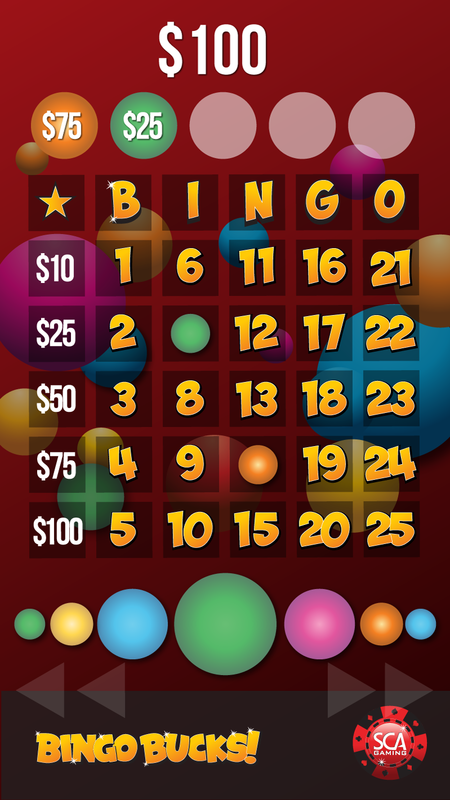 If the player has a single line Bingo, he or she is the big winner. Patrons earn entries through casino play, while collecting virtual game pieces to fill their card. Completed cards can deliver cash prizes, as well as rewards such as free play and retail credits. 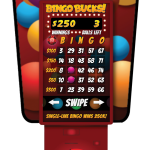 Bingo Bucks is offered with custom surround and is branded for your property. SCA covered prizing is designed to be consistent with your promotion goals. Contestants select 8 mystery bingo ball-shaped game pieces from the ball hopper. 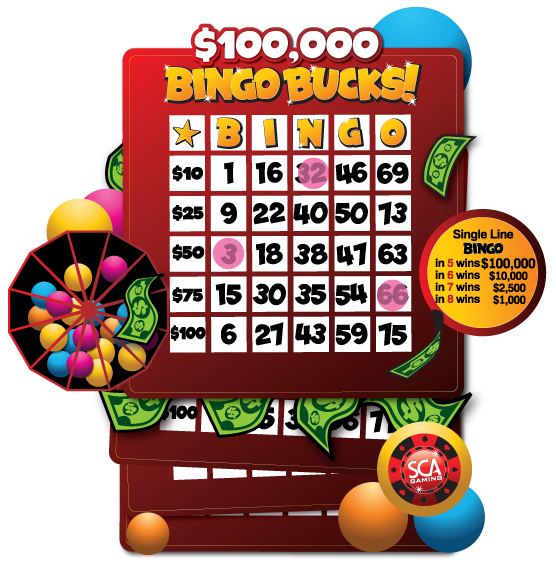 Each game piece is opened to reveal a spot on the Bingo Board. 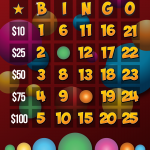 The player wins the grand prize if the balls selected create a single line Bingo! If the grand prize is not won, contestants collect the cash earned during the play.